per unit sleeping up to 4 persons! PLEASE NOTE: Special offers and promotions are not valid for December Holidays and Long Weekends. Hartbeespoort dam accommodation specials of this magnitude are hard to find! A minimum of 2 nights stay is required over weekends - Fridays 14h00 until Sundays 17h00. Bookings are done on a 'first-come-first-serve' basis and are subject to availability of accommodation. On Golden Pond and its management accept no liability for any claims of bookings not confirmed by us. If you find anything on our advertisements, websites, or information brochures misleading or untrue, please share your experience with us to ensure our immediate attention to the matter. Exploit this really excellent 'value-for-money'Hot Autumn deal !! Family-units - pay only R3514 (normal rates R7029). 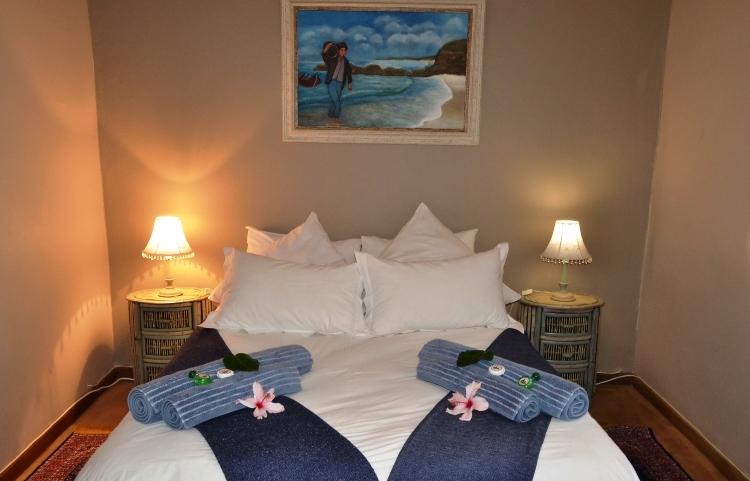 Romantic-unit - pay only R2660 (normal rates R5322). Another perfect excuse to take a break! Family-unit for only R3961 per unit - save R1308. Romantic-unit for only R2990 per unit - save R1000. Check-out time only 17:00 on Sunday. LIMITED OFFER: This limited duration offer is valid from 12th April until 30th June and applies to our self-catering, romantic and family accommodation. 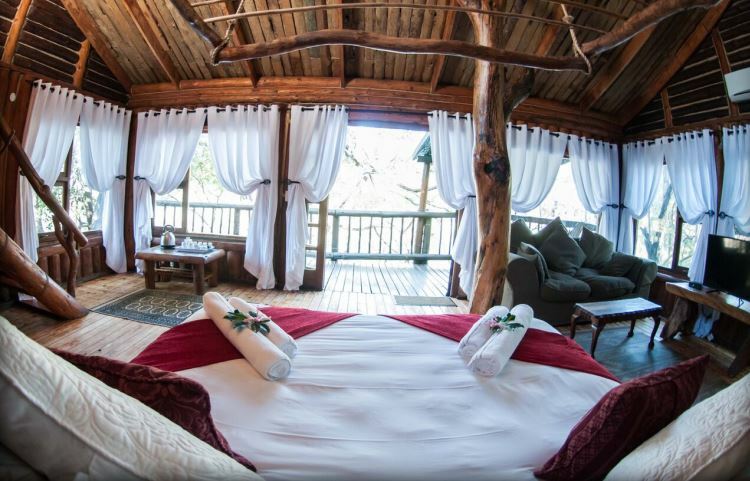 Two Bedroom Unit - Split Level This fully equipped self-catering unit features an 'open-fire' boma with braai facilities. Spacious Studio Unit - Split Level Drift away into the peace and tranquillity. This secluded log cabin has a private deck overlooking the picturesque pond in the front. 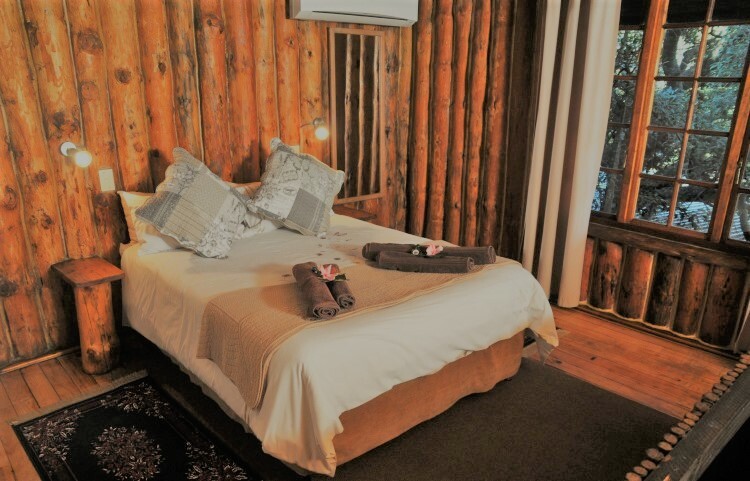 Two Bedroom Unit - Ground Level This secluded cottage is a fully equipped self-catering unit with a private patio and braai with superb view. In the heart of the Magaliesberg Mountains, spanning across both of the banks of the Crocodile River in Hartbeespoort, lies the picturesque resort, Mount Amanzi, winner of various hospitality and conferencing awards and less than an hour's drive from Johannesburg and Pretoria. Our promotions are very popular and often sold out before being advertised in the media. If you wish to be notified via e-mail, please send us your contact details. Don't sweat the spam-emails, we don't like them either!